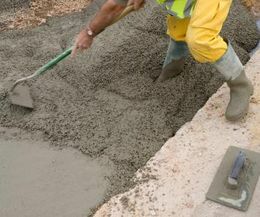 Cements are the most popular modification method that has been applied in driveways, walkways and roads for over hundreds of decades because of how cheap they cost. But within these decades, we have been repeatedly changing them due to cracks causing much larger expenses we could have saved if we only use the resurfacing technique. However, not anyone knows what resurfacing is, and the advantages one can get when it is used. Heavy truck weights and changes in weather temperatures are the very primary reasons as to why cemented roads or driveway crack, giving it a bad appearance and danger to some extent. With resurfacing, although it got a limitation on how long it would last, it helps residents with money matters. It is the cheapest way of paving a driveway. Moreover, this technique is considered to be a wise decision especially to those who wanted to sell their houses. It will only take some time to have it done and it will also make the cracked cement looking new but only costing small investment with the modification. And just like a brand new one, the result also provides a smooth surface, thus covering the cracks therefore promoting beauty and avoiding accidents. For those who do not have enough money to get their driveway asphalt paving and interlocking, this is the far best option for the residents in order to keep their driveway and walkway functional and safe to pass through. There are already lots of companies who offer repairs of roads and resurfacing but as a resident, see to it that the materials which the company you choose uses the best quality in doing the job. Furthermore, you should be meticulous about how the result would look like. It should be clean and one that is pleasing to the eye because not all companies are able to provide that. Several companies produce uneven surfaces and sometimes the result looks like something has spilled on the roads. 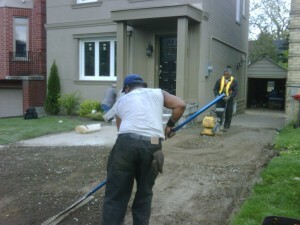 In Progress Paving, we offer lots of services for driveways, roads, walkways and the like. We are highly committed to produce an exceptional outcome to every customer who needs our help. With our team of professionals, we have continually been providing quality services all throughout Toronto, New Market, Aurora, Markham and Richmond. In addition to our resurfacing and repair service is the variety of designs and colors that each client can choose to use in their driveways which makes it livelier for the passersby. We want to achieve excellency so we are providing services that our customer would never regret.